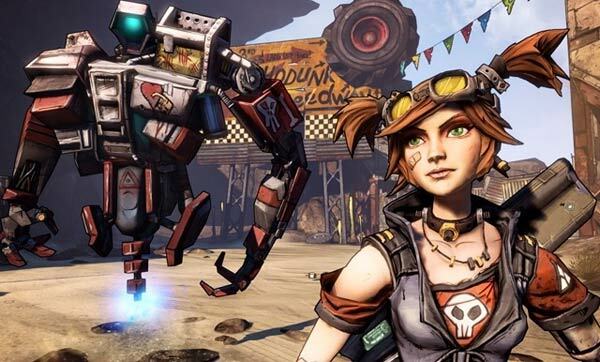 Gearbox Software has announced the upcoming launch of the Borderlands 2 Game of the Year (GOTY) edition. The new GOTY bundle will be made available on all platforms starting on 8th October in the US and Canada, the rest of the world will be able to buy this edition of the game from 11th October. Many PC gamers may have held off on this second outing of Borderlands waiting for this GOTY edition, despite the recent cut price sales of the original game like in the Steam Summer Sale, now their short arms-long pockets tactic has almost paid off. That's a lot of game to play through. 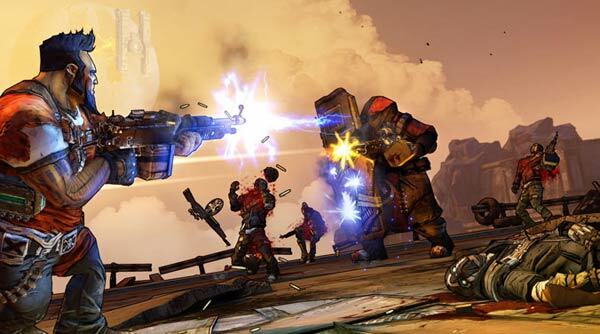 Gearbox says buyers can "enjoy hundreds of hours of shoot-and-loot mayhem at an extraordinary value" playing through the game and expansion packs alone or with friends with any one of the six playable 'Vault Hunters'. “For us and for fans, the love for Borderlands 2 has been nothing short of spectacular, so it's natural for us here at Gearbox Software to want everyone else to have a chance to experience the best-selling game and its most valuable expansion content," said Randy Pitchford, President of Gearbox Software. “The Borderlands 2 Game of the Year Edition offers more value than ever before in one package, giving everyone an opportunity to become a legendary Vault Hunter, and join in the award winning mayhem and fun." Upcoming DLC for Borderlands 2 which may or may not be featured in an even bigger GOTY Ultimate Deluxe pack or some such bundle in the future includes 'The Ultimate Vault Hunter Upgrade Pack 2' and 'TK Baha’s Bloody Harvest' which is said to be the first a series of three 'Headhunter' DLC releases. In related news Gearbox software announced, just a week ago, that Borderlands 2 was coming to the PlayStation Vita handheld console. Game of the year? Maybe if it's the only game you played all year. I never understood why I am the only person that found Borederlands so damn boring. great game, i played it completely through about 4 times, also brilliant for a laugh with 3 or 4 others, especially the arenas. Its all a matter of taste tho, i was kinda sick of COD and Halo and so on at the time. I find this annoying, why release a GOTY edition when they still have more DLC in the works. I thought the whole point of releasing a packaged edition with DLC included was to give late comers access to everything in one package, not only part of what is going to be released at first and then a little bit more later only for more to be released again. I was pleased with DLC at first but now the milking some developers are doing with it has begun to grate me. i loved the first borderlands but couldn't get into this at at all. Bought the vanilla game on PC during one of the sales, still haven't got around to finishing it (although I am enjoying it). tbh, I preferred playing the first game on the 360 so I might pick up the GOTY version on that.